Every organisation is vulnerable to negative situations erupting around them at any time, despite your best efforts to prepare, train staff, and build defences. Accidents will happen, weather can’t be controlled, people make mistakes, and of course, there’s always the threat of targeted crime, hacking and malicious damage to company infrastructure. Crisis events can include power outages (the most common cause of IT downtime) natural disasters like earthquakes, industrial incidents, technological crises such as data breaches, and a range of other possible scenarios including malevolence, terrorism and other manmade disasters. There’s no way to completely prevent at least one these incidents happening eventually, and the larger the business, the bigger the risk and potential cost. 61% of businesses reported experiencing at least one critical incident over the past two years. 15 minutes of IT downtime can cost a large company up to $300,000. Since there’s no way to prevent every possible incident, it's vital that your preparation and tools are up to the challenge of responding - as the old saying goes, the best defense is a good offense! 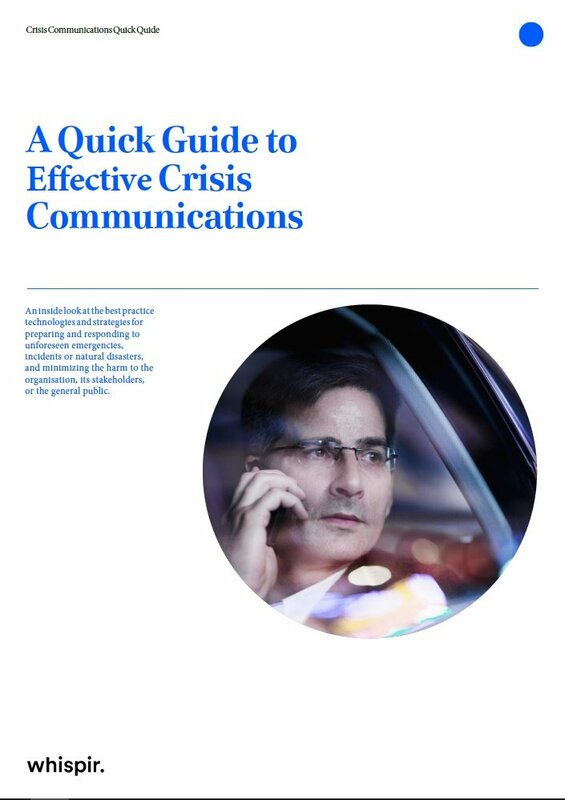 Download our FREE Quick Guide to Effective Crisis Communications.